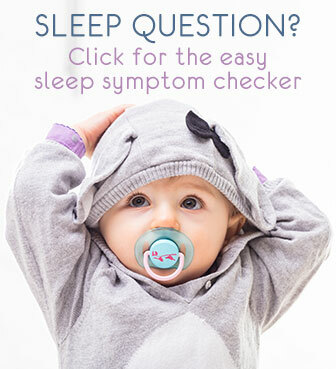 Isn't Your Baby Sleeping Through The Night Yet? "Isn't Your Baby Sleeping Through The Night?" "Isn't your baby sleeping through the night yet?" Sadly many visitors will comment on your cutie not sleeping before you can tell them how cute she smiles. Society expects so much from new parents and their new baby, particularly when it comes to sleep in those first months. Don't let yourself be discouraged, they should know better than to focus on sleep only and to expect so much! Yours will sleep through some day too, when she's truly ready to sleep those longer stretches. Let's have a look at what sleeping through really means and what to expect at different ages. Family and friends' questions are usually well-meant of course: with baby sleeping through the night, you as a parent sleep better too. Otherwise, you may be going through some rough times. Luckily there are effective and gentle techniques that help, that's why I developed my 3-step program for longer nights with and for parents. But please do not feel frustrated because the others expect your little one to sleep through, or if your friend's 3 week old baby sleeps for 8 hours in a row (there's even a good chance that isn't even true!). Sleeping through the night is a very subtle baby milestone. There is not a fixed age, you cannot force it and it may come and go in phases. What does "sleeping through the night" mean? First of all, let's define sleeping through. It is very much a subjective matter: some parents are thrilled to report their baby sleeps through doing 4 hours in a row, others won't be happy until baby sleeps a full 10 hours non-stop. Also, from researched sleep patterns, we know that babies and toddlers sleep in very short cycles. This means they basically wake up every 1-1,5 hour. What is sleeping through at different ages? Maturity: how well is baby's sleep developed? Feeding needs: how long can baby be without food? Newborn: a newborn baby alternates sleep and wake times continuously, day and night. (Instill day/night difference in her newborn baby sleep schedule). She needs to feed on average every 2-4 hours. So 4 hours is about the maximum you can expect. Count your blessings if you have your newborn sleeping through more, but do make sure she feeds enough, it is not healthy for a newborn to be without milk for too long. 1 - 6 months: Baby gradually learns the difference between day and night (thanks to a well suited sleep schedule). Night time sleep becomes longer than daytime sleep. Baby still needs to feed 1-3 times during the night. Many babies will start making longer stretches regularly towards 6 months, about 4-5 hours of sleep without feeding. 6 months - 1 year: In this second half year most babies gradually loose the need to feed at night. That is, they can go to 6-8 hours of sleep without food. However, many babies continue to wake out of hunger during growth spurts, a need for reassurance, or out of habit. 1 year and up: This is when we expect a baby or a toddler to sleep through the night. Uninterrupted sleep will gradually go from 8 to 12 hours. However, it is still very common and normal to have your child wake up at night once or twice for various reasons. At every age, applying the right basics and using techniques that are adapted to your child in a loving yet consistent approach will give you and your baby the best sleep. 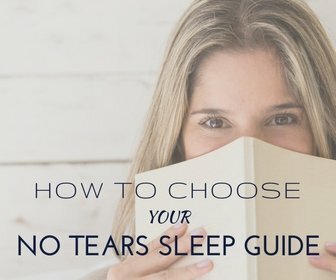 See No-Tears Sleeping Through the Night for my basic guide, and in particular my latest, specific for frequent wakings: Overcome Frequent Waking. For further info on typical amounts of sleep refer to How much sleep is enough? Also check for common sleep disturbers to avoid them disturbing your baby's sleep. Listen to me: YOU HAVE NOT FAILED! Please don't let anyone who makes you feel bad or guilty or ashamed about your little loved one's sleep get to you. They're wrong. Yes, you can help your baby sleep well with the best possible sleep environment or guide her with a well suited sleep method. But no, that doesn't happen instantly nor easily for most. A baby is not a machine that you can switch off, but a tiny human being with needs and maturing abilities. With our loving care, she will learn the sleep skills she needs, when she's ready - phyiscally and mentally - and will come to sleep through consistently. And countless moms who have realized this, have reported that, the instant they relaxed about sleep and sleeping through, their baby suddenly slept much better!